Welcome to the wonderful world of Pool Cartridge Filters and all the fun it entails. Their relative low cost and maintenance comparative to DE and the better water purification compared to sand filter are huge selling points. The only catch of cartridge filters is the sticky situation of replacing the cartridges. One of the hard parts for pool owners is knowing when to replace these cartridges, and that is why we are here to help. Cartridge maintenance can be broken down into two categories, “Saving it” or “Chucking it.” The saving it category will contain the weekly maintenance chores of checking water pressure, light cleanings and the occasional deep clean. The “chucking it” category involves determining if the cartridge is worth saving or if it should be binned and replaced. This guide will give you a few key symptoms of a cartridge that should be replaced. 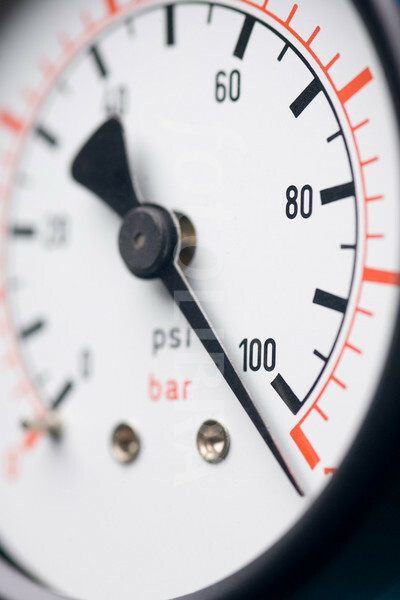 A spike in your pressure reading is a sign of mounting strain within the filter. A common cause of a high PSI reading is a dirty cartridge, which is usually remedied with a quick hosing off. If a quick clean does not fix the issue, try a deep clean, using an overnight soak with a cleaning agent such as Leisure Time Filter Clean. If the treated cartridge still spikes at a high PSI, it is due to be replaced. Cartridges are made out of polyester material called Remar. When the Remar material becomes oversaturated, it restricts water flow and requires cleaning. Eventually the material becomes so caked with dirt particles a simple hose down or chemical soak will not unclog the fabric. 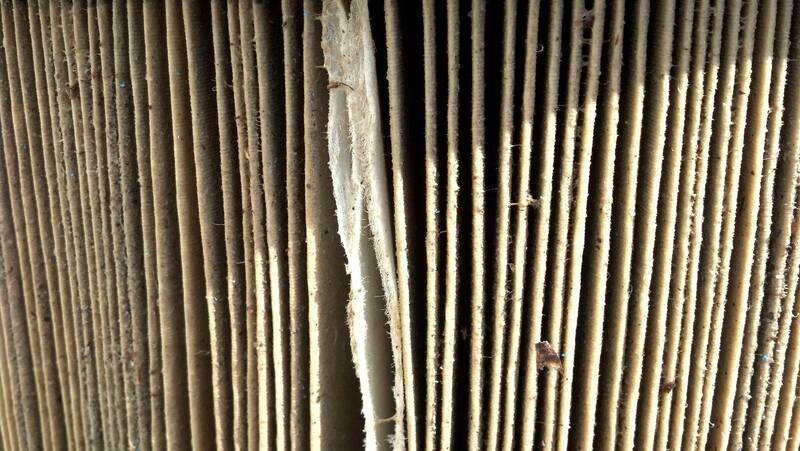 At that point the only recourse is to replace the filter cartridge. The plastic end caps on your cartridges act as bookends sandwiching the material into a tight compact form. End caps are made of a heavy duty plastic but can be susceptible to harsh water chemistry making them brittle. Once an end cap begins to crack or chip, it it best to replace the cartridge right away. 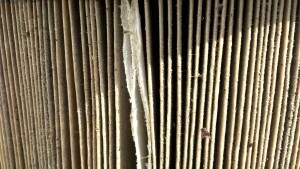 If a cartridge with a broken end cap is repeatedly used, a piece of the broken material may circulate through the filter system causing equipment damage. When Remar becomes over-saturated with dirt particles the pleats will deform. This deformation is called flattening and greatly restricts water flow and cleaning capability. A broken or missing band will also cause pleat flattening. Through the natural wear and tear of water pressure, chemicals and dirt particles blasting the Remar, the cartridge material may begin to fail. Holes in the material will provide dirt a clear path to recycle back to your pool, making efficient filtering virtually impossible. The sign of fraying or micro-tears in the fabric is usually a “furry” look to the surface. This furriness is caused by the tiny fibers ripping apart and standing straight on end. When this is noticed, be prepared to replace the filter cartridge because the micro-tears will eventually turn into one big rip. These failures are normally caused by a catastrophic inner core collapse. The inner core of your cartridge is the plastic reinforcement cage that backs the pleats, preventing collapse. A failure of this type will cause the cartridge to resemble a crumpled soda can with pleats. The likely suspects for this issue are an already cracked inner core, sub-standard cartridges, or a cartridge that was too small. The latter commonly occurs when a pool owner buys the incorrect cartridge size but installs it anyway. I would really like to look at my pool filters and see how they are working. I have been noticing that it doesn’t seem to be doing as well as it used to. Last time I cleaned them out, I did notice that the fabric was a bit worn and tattered. This may be the issue, so I should probably look into getting some new filters that have new fabric. Then I can be sure that all the water is being cleaned properly! Sounds like an issue in the pump area…just to day I took the pump apart to find a wad of grass clogging up the inlet of the impeller…needless to say, I had less than 1 lb of pressure on the filter pressure…just figured it out today. So you may want to check with issues around the pump. I have questions about my PAP150-M4 filter. I have noticed a few weeks after purchasing and installing a new filter, the bottom of the filter will start to collapse. 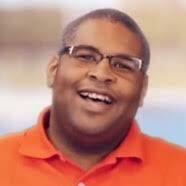 I have been told by my pool store several different reasons, which I don’t agree with. What causes the bottom of the filter to start folding/collapsing? Also, how long should my filter last if taken care of? To much water pressure or weak inner cage would be the leading caused for cartridge collapse. There is no set time for a cartridge replacement, as it depends on the size of the pool, size of cartridge, location, and use. The cartridge should be replaced when cleaning and chemical baths no longer work in lowering filter pressure. You can try contacting the manufacturer to see if there is a warranty. When you replace your filter cartridges, always refill the cartridge tank slowly (pump as low as you can set it) with the air vent wide open. When the tank is full, the water evenly flows through the full length of the cartridge(s). If you run the pump with only a bottom portion of the carts covered by water and the rest of the tank filled by air, all the water the pump is pumping is forced through the small “wet” portion. This high flow rate can dramatically increase pressure on the fabric, pleats etc. I can imagine that running for very long with only a portion covered (perhaps waiting for your auto bleed to sloooowly get the air out of the tank) could collapse the filter. Always – air relief full open, pump on lowest until filter tank is filled with water. My filter looks okay but my pool keeps turning green. I have added shock etc. but it just keeps turning green. Have your water checked at a pool supply. You may need to add more than shock or chlorine. Have your water tested and post the results. You may be adding shock, but it may not be enough for your CYA levels. Or you aren’t maintaining a high enough level chlorine after shocking. Take a sample of your pool water to a pool store for a free test, and post the results below. I had the same problem, buy an 8 lb bucket of ALUM from the pool shop, clean your filters first then sprinkle the entire bucket around the pool and circulate for 2 hours. Let it sit for 12 hours overnite and vacuum. It says to vacuum to waste but I just cleaned my filters really good again and presto! You have clear blue water. The alum attracts all the green organic matter in the pool and drops it to the floor. Some of it will sit on top of the water but while you vacuum it will eventually sink as well! Have you taken a closer look at the black flecks to determine if it is organic material that could be from dirt getting past the cartridge or no inorganic material from your panels? If filters have been subject to excessive pressure, it’s a good idea to check the manifold also. It is not uncommon to find large holes or wide cracks in them. That’s a good question that I do not have a solid answer for. It could be a pressure gauge that needs some Teflon tape or a crack in the stem of wherever the pressure gauge screws in. I purchased a set of 4 Pleatco advance cartridges for my Hayward C3025 filter 8 months ago. Everything was great until about a month ago. Since that time I’ve noticed the cartridges don’t come as clean as before. They seem to have a dark stain over them. Also, the pressure of the filter system goes way up after just a few days. Should I buy new filters or is there another option? I’d give the cartridges a chemical soak to get rid of the residual dirt. But you may want to check water chemistry. If it is a green stain, then it is algae and you need to begin shocking your water. I have the same problem. I have run out of options. I am anxiously awaiting an answer. My pool filter cartridges are only 2 years old and are used May through September. If your pool was green, before it was cloudy, then the mistiness is dead algae. You need to use clarifier, or flocculant to help clear up the issue. My pool water is completely balanced, yet it is still cloudy. I purchased my cartridge filters in 2016 and they still appeared clean. Yet I cannot get rid of what appears to be fine dust particles on the pool. It is extremely cloudy. Do you think new filters will fix this problem? Have you used any clarifier and/or flocculant? Hello Sue – PSI readings are going to vary from pool to pool. The size of the pump, filter, and feet of head is going to change the normal PSI reading from pool to pool. So is your clean filter PSI start at 10, and then slowly works it’s way up to 15? Hi. We have a Pentair filter system with 4 filters in it, about a year old, and we noticed that the filters were all cracked on the bottom end, so we replaced them all. About 4 months later, 2 are cracked again. We have 2-20 foot “solar” heaters that are the kind that water just runs through little tubes and heats up, and the plumbing was originally set up for a DE filter system, with a backflush valve, which we have left connected but don’t use. Something else that might be of help informaiton wise is that the PVC is mostly 1.5″ but in one small section it goes to 1.25″. We have a 1 HP pump and a pool with about 40,000 gallons, and the pressure is usually around 15 psi, although we opened the heater valve for a second and it got to 30psi just for a few seconds. These filters are very expensive so any insight is appreciated. Thank you! In what way is it dirty? Is the water green or brown? If so, that is a water chemistry issue that needs to be dealt with chlorine or other balancer chemicals. If it is dirt particles then you can use a clarifier or a flocculant to help scoop up the dirt. the suggestions just really work. we must follow these to solve this type of cartridge problems. the common issues are- A High PSI, Cracked End Caps, Crushed Cartridge, Flattening Of Pleats etc. to know more Epson Technical Support Canada. I am very much benefited by this post. Green water is algae. Cloudy green water s a sign your chemicals are working because the cloudiness is dead algae. My pool skimmer is not sucking in water and collecting the little particles of dirt and mosquitos on top of the pool. What could be the problem? 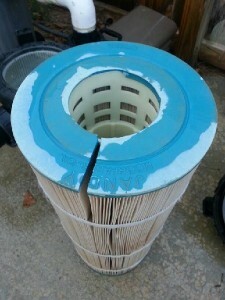 Is it time to replace the filter? The pool does maintain clean through the main drains though. First, make sure the skimmer line is open and clear; confirm that any diverter valves on the line are in the open position. Check your filter’s pressure gauge for pressure loss. Look for signs of air in your system, like: air bubbles pour from return lines, pump priming issues, large air bubbles in pump basket. Or you can try readjusting return nozzles to stimulate flow, by pointing that all right or left. Is there a top or bottom to the Hayward C2025 Cartridge? Hello Terry – the C2025 replacement cartridge does not have a specific orientation.